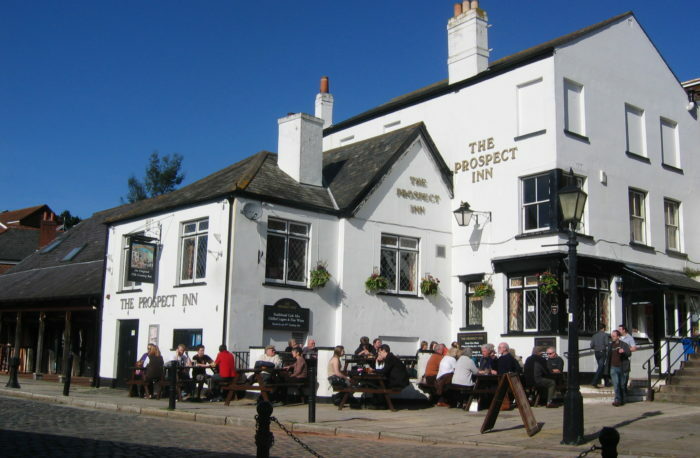 The Prospect, in the heart of Exeter, has been named one of Devon’s top pubs by online magazine Devon Live. Situated on the bustling quayside of the River Exe, the historic Prospect Inn is a thriving and popular pub offering beautiful views of the river. Meals and snacks are available, along with a wide range of beers, wines and spirits. There is also regular live music. A walk along the quayside will take you past many independent coffee shops, restaurants and shops, and the quayside itself is the perfect place to enjoy a pint in the sunshine.